Cotopaxi Questival, Bobby Lee, Eight O'Clock in the Morning and more. A race used to be a straightforward concept: A bunch of people start at one point, and the first one to reach the other point wins. These days, a race can mean just about anything, from eating 72 hotdogs in 10 minutes to running a half-kilometer in high heels. The possibilities are endless. 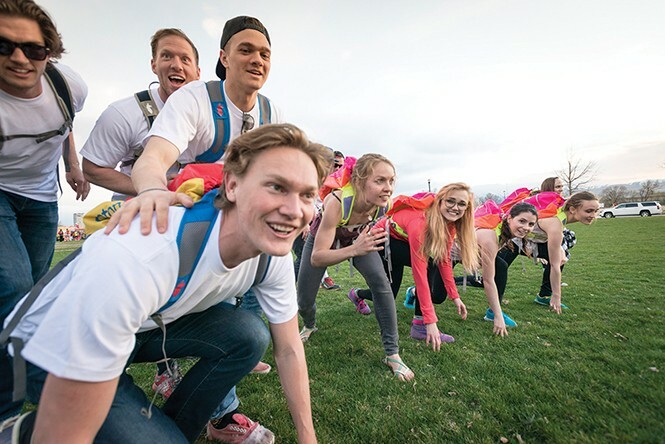 Local adventure gear company Cotopaxi's Questival is essentially a 24-hour race, but instead of dashing or consuming your way to the finish, teams of two to six people compete to complete the most challenges in the allotted time. You can choose from hundreds of tasks—generally based around getting outside, trying new things or serving the local community—each worth points based on difficulty. In previous years, challenges have included everything from eating at a street vendor to driving to Mexico and back in a day. This year's Utah-specific checklist includes taking a picture of buffalo on Antelope Island, and visiting Capitol Reef National Park. Video or photo evidence will be uploaded to the official app to prove completion, and the team with the most points after 24 hours is the winner. Asian-American actor/comedian Bobby Lee faced several challenges early on. His parents disowned him after he disobeyed their wishes, choosing comedy over the family business. After battling substance abuse, he eventually found success as a stand-up comedian, opening for the likes of Pauly Shore and Carlos Mencia before landing featured roles on Mad TV, the original Netflix series Love and roles in such cult classic films as Pineapple Express and The Dictator. "My drug addiction almost destroyed any chance of making it in the business," Lee says via email. "Sobriety obviously changed my life, and it's been helpful. I don't think it makes me more creative, but it does force me to be present, as in showing up for auditions and comedy gigs." If his routines feed into popular stereotypes, it's only because he embraces his heritage without hesitation. That was especially evident when he participated in the 2005 comedy tour "Kims of Comedy" with fellow Korean-American comics Steve Byrne, Ken Jeong and Kevin Shea. Lee's stand-up might touch on fetishized interracial dating, as it did in a 2013 interview at the Laugh Factory with Kevin Nealon: "I'll meet a white girl, and I'll be, like, 'Oh, my God. She likes me.' Then you go to her house and there's a Bruce Lee poster on the wall." Like many Americans, Utah artist Grant Fuhst found himself shocked and distraught in the aftermath of the November 2016 presidential election. "I just kind of moped around for several days," he recalls, "then thought, if I was going to deal with this, I needed to do something about it." 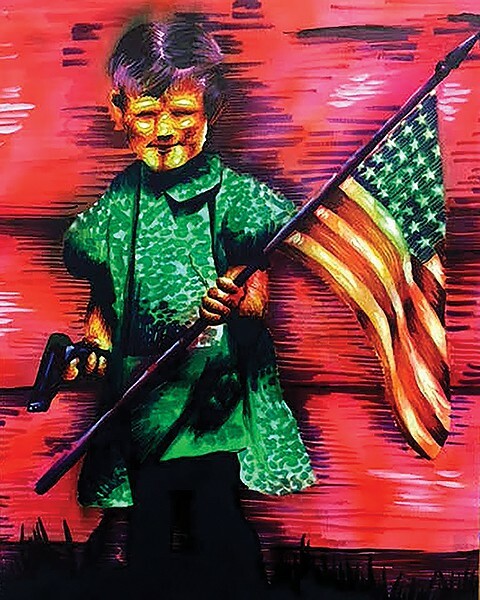 In this case, that meant not just creating his own art, but organizing a show—the title comes from the Ray Nelson short story that inspired the film They Live—allowing multiple artists to express their post-election hopes and fears. Fuhst reached out to Urban Arts Gallery, which in turn put out a call to many of the gallery's house artists. "I wanted to make a statement about how many people, including artists, were opposed to what was going to happen," Fuhst says. "This was about getting as large and diverse a group of artists as possible." South Park creators Trey Parker and Matt Stone have poked fun at—and poked holes in—the LDS church for nearly 25 years. It started with the 1993 film Cannibal! The Musical, based on the story of Alferd Packer, who in 1874 led an expedition from Utah to Colorado, where he and other expedition members resorted to cannibalism to survive being trapped in the snowy Rocky Mountains. 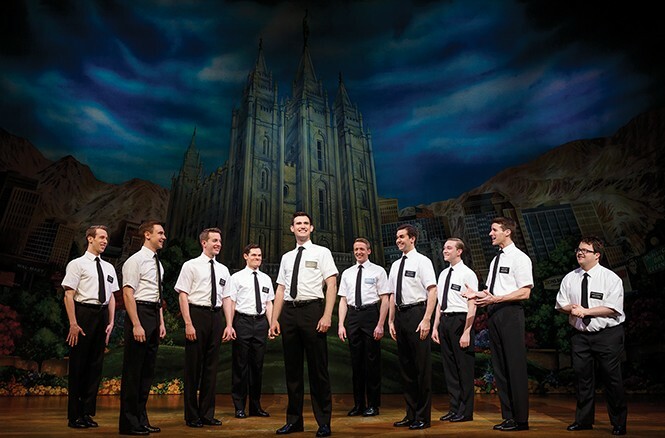 Since then, the pair famously spoofed Mormons in the South Park episode "All About Mormons," which called LDS doctrine "dumb-dumb-dumb-dumb-dumb" and highlighted the stereotype that Mormons are unfailingly nice and well-intentioned. The Book of Mormon continued that fair and balanced approach. This accuracy with respect to church culture and doctrine has been lauded by Mos and gentiles alike, with the general consensus being that it's funny because it's true.